Khelplayrummy.com, India’s most visited gaming platform for Indian rummy online games. This website is considered India’s most rewarding 13 cards Indian Rummy site with an advanced multi-user interface. The website offers 13 cards Indian rummy and 21 cards Indian rummy formats. In 13 cards Indian rummy, it offers three different formats of the games, namely, point rummy, deals rummy and pool rummy. 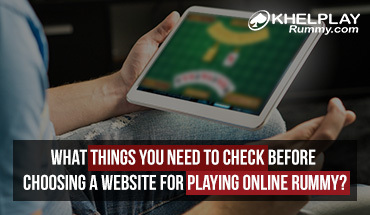 In addition to being the most preferred rummy website, here are 5 cool things you should know before you start playing rummy at KhelPlay Rummy. KhelPlay Rummy is not only available online as a rummy gaming website, but also as a mobile app. The free rummy app is compatible with both Android and Apple devices. So, not you can play rummy from anytime, anywhere. All you need is a mobile device and internet connection. Khelplayrummy.com is Random Number Generator (RNG) certified by iTech Labs. RNG basically uses a well-known algorithm to generate random numbers, so the deck of cards is perfectly shuffled and there is no scope of the games being rigged. So, when you play games here, the card sequences are unpredictable, non-repeatable and unfirmly distributed. You thus receive a genuinely enjoyable rummy gaming experience. Khelplayrummy.com maintains a Fair Play practice on its site. 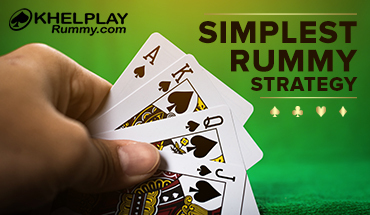 It allows rummy players to chat fellow players, but there are certain terms and conditions that need to be complied. Some of these terms include – no usage of vulgar or abusive language, religious or racist remarks, and begging or pestering. Players can raise complaints if they face an unethical or offensive conversation with others. Khelplayrummy.com adopts the best online security system to ensure that all the transactions made are safe and secure. The payment transactions are encoded with 128-bit SSL and user data and details are saved in a secure environment. The website does not permit its access to any third party and quickly responds in case any issue arises and the same is resolved immediately. 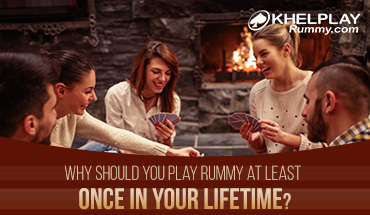 Why Should You Play Rummy at Least Once in Your Lifetime?